Melissa Harris-Perry, the Maya Angelou Presidential Chair at Wake Forest University, will discuss how Martin Luther King Jr. employed a diverse toolbox of strategies in pursuit of social justice. The free convocation takes place at 7 p.m., Monday, February 11, at the Santa Cruz Civic Auditorium in Santa Cruz. This annual celebration of King’s life and legacy has become a proud tradition in Santa Cruz, with a stunning lineup of speakers over the years, including activist and UC Santa Cruz professor emerita Angela Davis, poet Nikki Giovanni, Harvard professor and author Cornel West, and Black Lives Matter cofounder Alicia Garza. Harris-Perry is the founding director of the Anna Julia Cooper Center at Wake Forest University and codirector of Wake the Vote. She is editor-at-large of Elle.com and a contributing editor at The Nation. 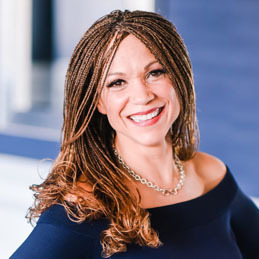 From 2012–2016 she hosted the television show “Melissa Harris-Perry” on weekend mornings on MSNBC and was awarded the Hillman Prize for broadcast journalism. She continues to create and direct programs with the goal of creating diverse American media. During her talk, she will discuss how Martin Luther King Jr. employed a diverse toolbox of strategies in pursuit of social justice. Today's students, faculty, staff, and campus communities continue to use many of his original tools while adding innovative new approaches of their own. Her lecture will explore definitions of social justice and some of King's approaches, and discuss how campuses and communities can create more just processes and equitable outcomes with their own toolbox. During the convocation, audience members will also get to meet this year’s recipient of the Tony Hill Award, recognizing an outstanding individual who seeks solutions to economic and social issues that face our local community, developing innovative approaches and building bridges among diverse populations. Award recipients receive $500 to donate to the charity of their choice. This special honor recognizes individuals whose lives and actions exemplify the late Tony Hill’s work and legacy. Hill, a longtime advocate for social and economic justice in Santa Cruz County, was known for his skills as a community bridge-builder and mediator. He died in 2007 at age 62.